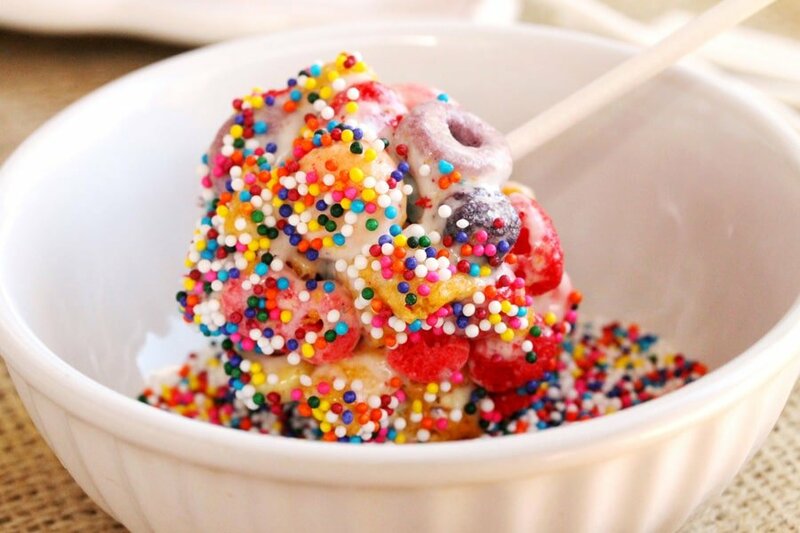 A festive sweet treat for any occasion that tastes as good as looks! 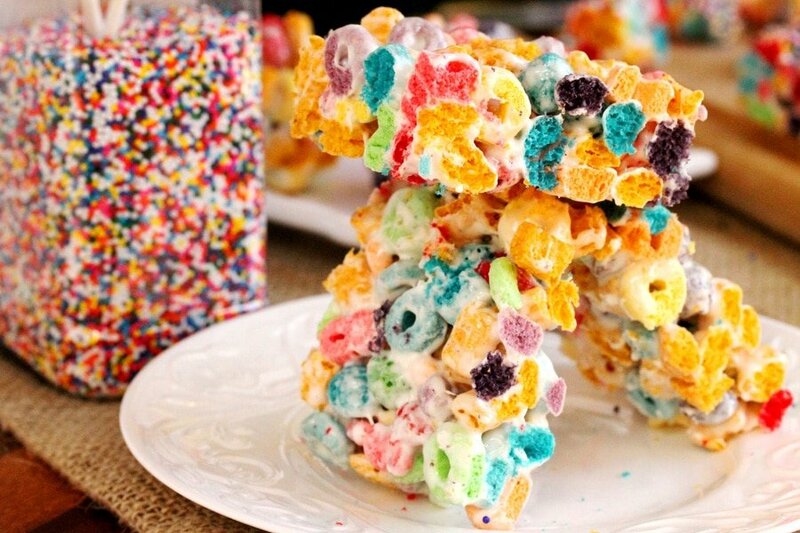 One of my favorite pictures of a recipe was of some Trix Krispies made by Kim at Cravings of a Lunatic. 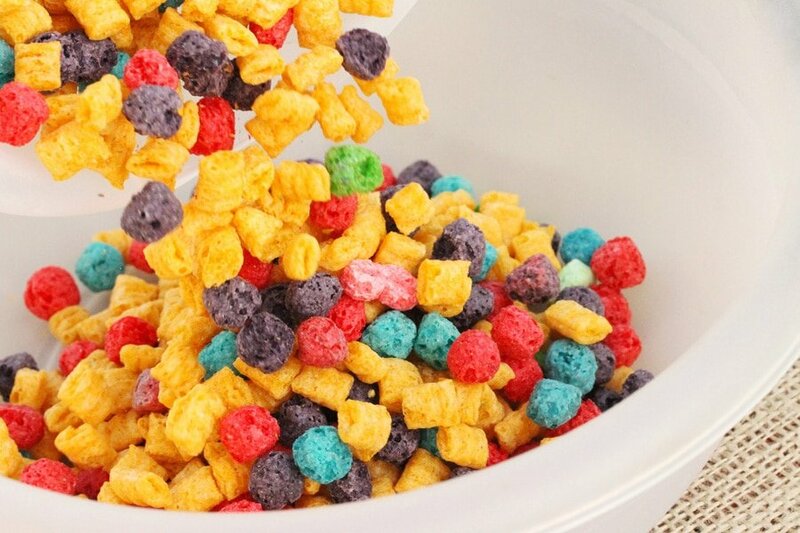 The pictures of Kim’s Trix Krispies were so pretty and looked downright magical. 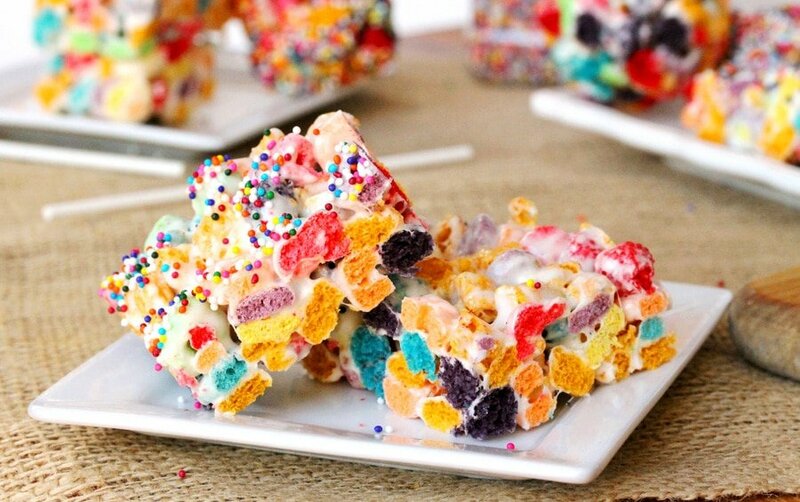 It was such a good idea to use a colorful cereal to make Krispie Treats that I just had to make some myself. 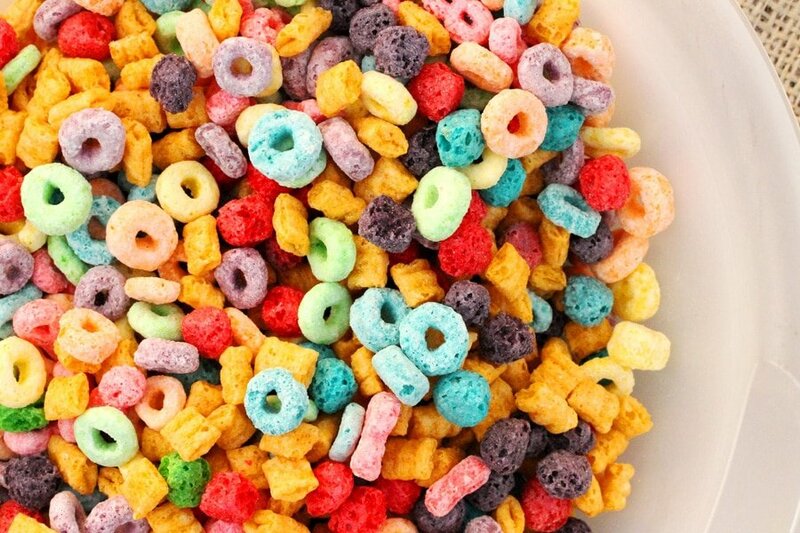 The two cereals that just happened to jump right off the shelf and into my grocery cart were Captain Crunch and Froot Loops. Plus, they were on sale at a great price which is the best part for a Coupon Clipping Cook like me. 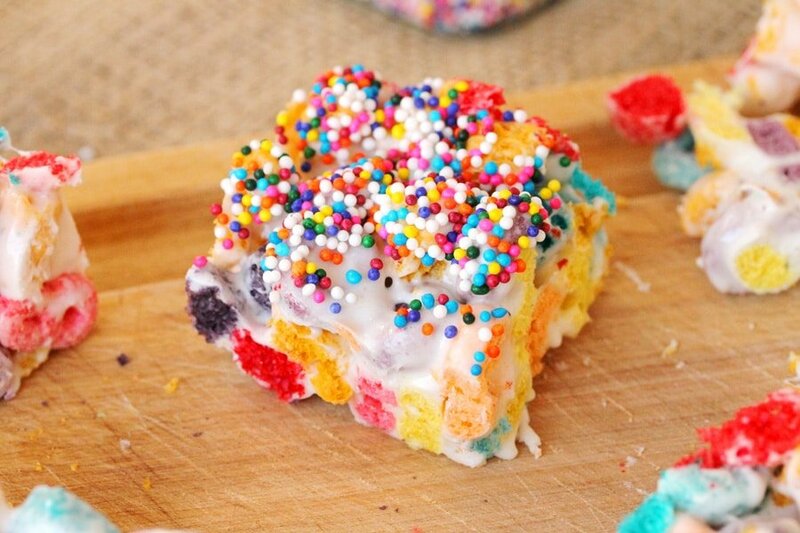 These Krispie Treats are delicious made into the traditional squares but here’s an idea…. 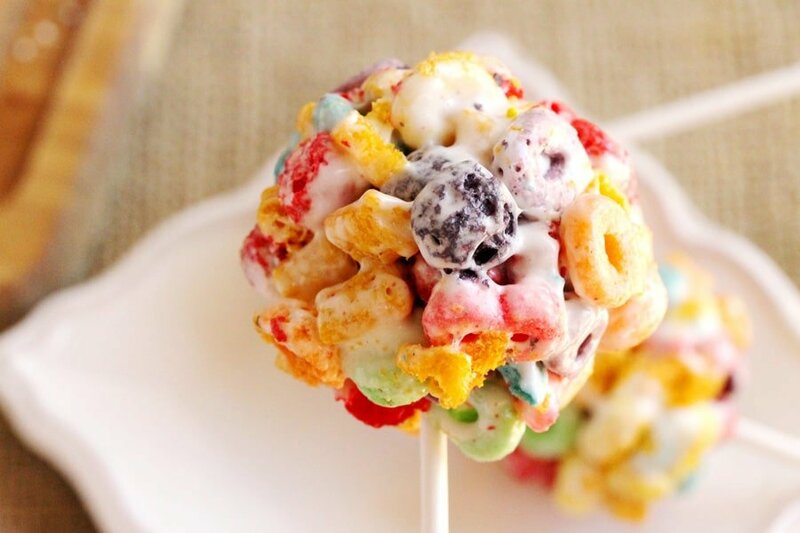 …try making them into Krispie Treat Pops dipped in candy toppings. The directions on how to do this are below. 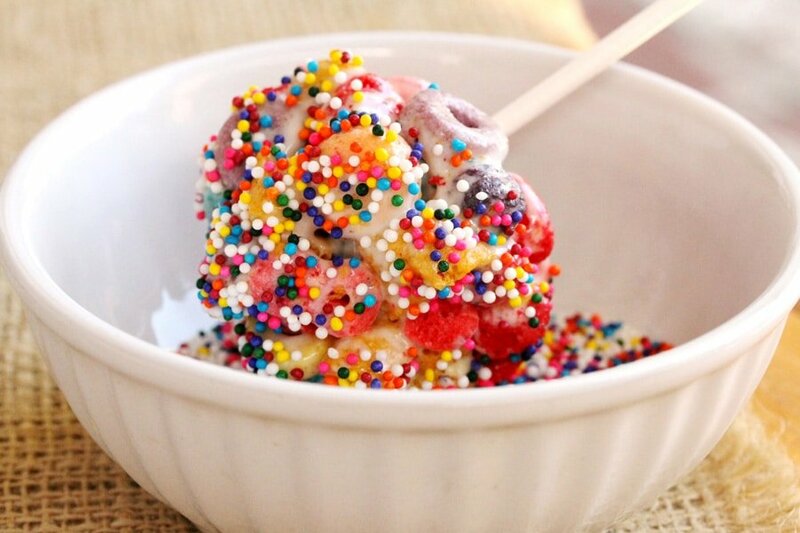 Fun to make and fun to eat too. 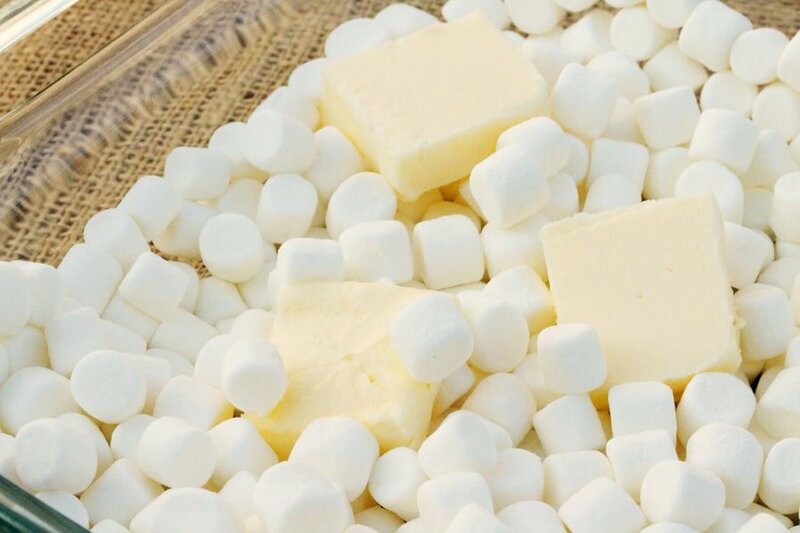 Heat the marshmallows and butter in the microwave for about 3 minutes or just enough so that the marshmallows and butter start to melt. Then stir the marshmallows and butter together until smooth. 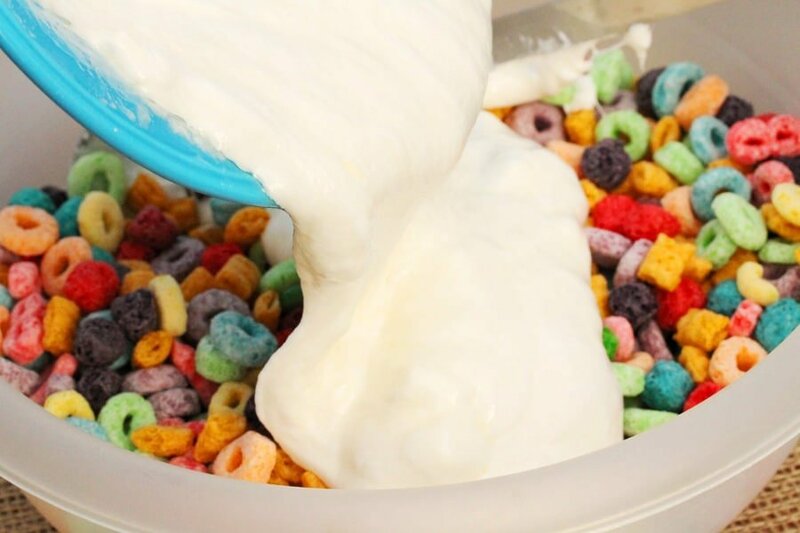 Coat a casserole dish or pan (13 x 9 x 2 inch pan) with non-stick cooking spray and then add the marshmallow and cereal mixture to it. 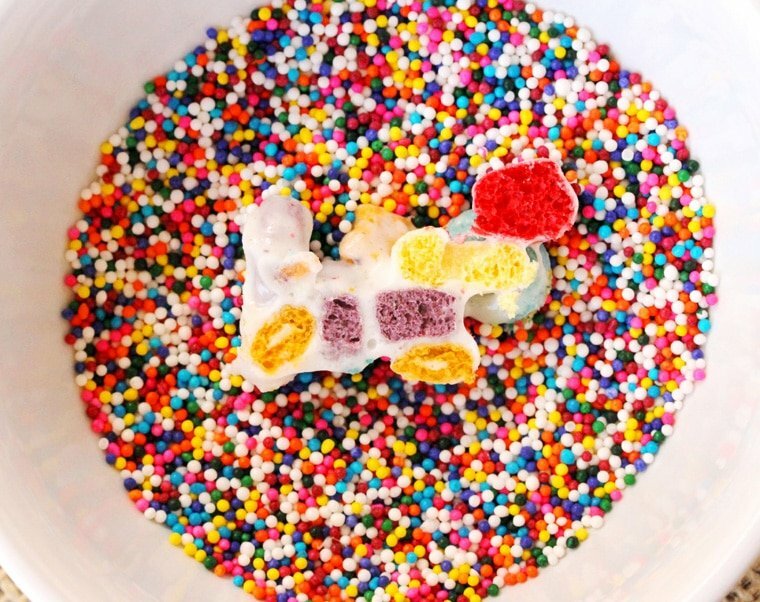 Let cool (for at least 40 minutes). Then cut into squares. 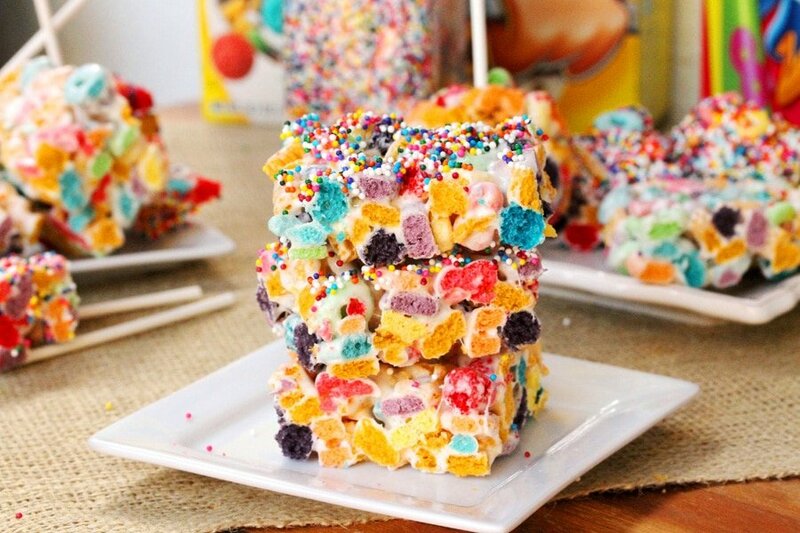 After cutting the krispies into squares they’re ready to serve. Here are more serving options. 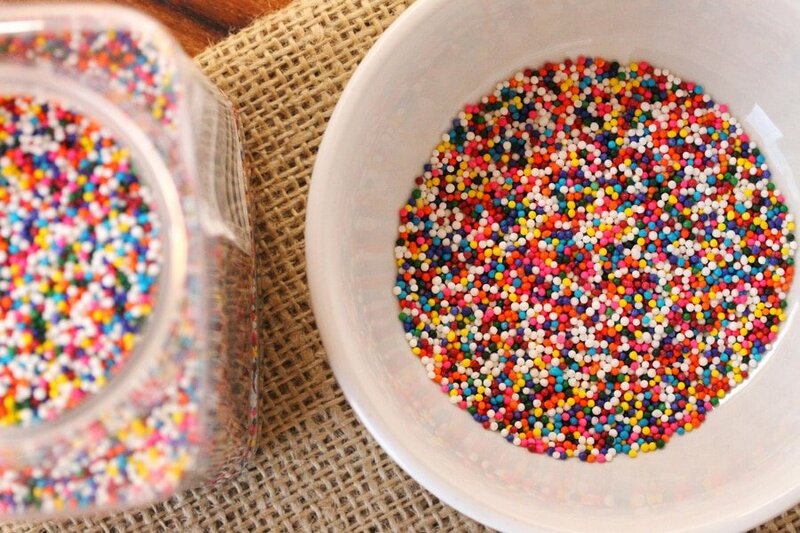 Add Candy Sprinkle Toppings – for added color, top the squares with candy sprinkles; put the candy sprinkles in a small shallow bowl, lay one krispie square at a time in the candy sprinkles and press down slightly so that the candies will stick to the top. 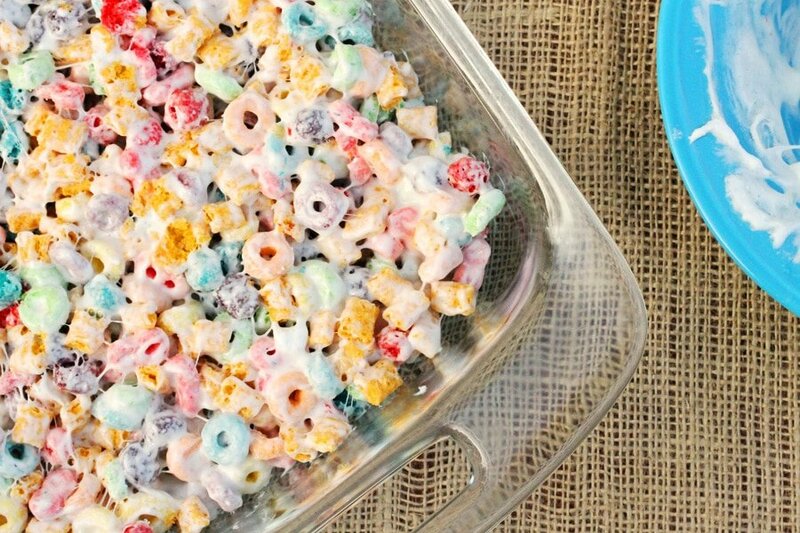 This adds even more fun color and another layer of deliciousness to the krispie. 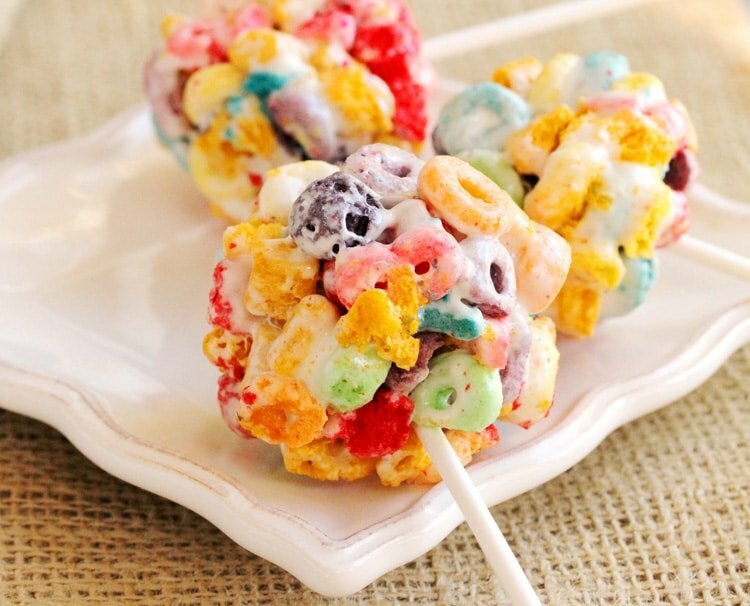 Making Krispie Lollipops – just after mixing the cereal with the marshmallow mixture, wet your hands and roll the cereal and marshmallow mixture into balls (about the size of a golfball or slightly bigger). Set the balls on parchment paper and let cool. 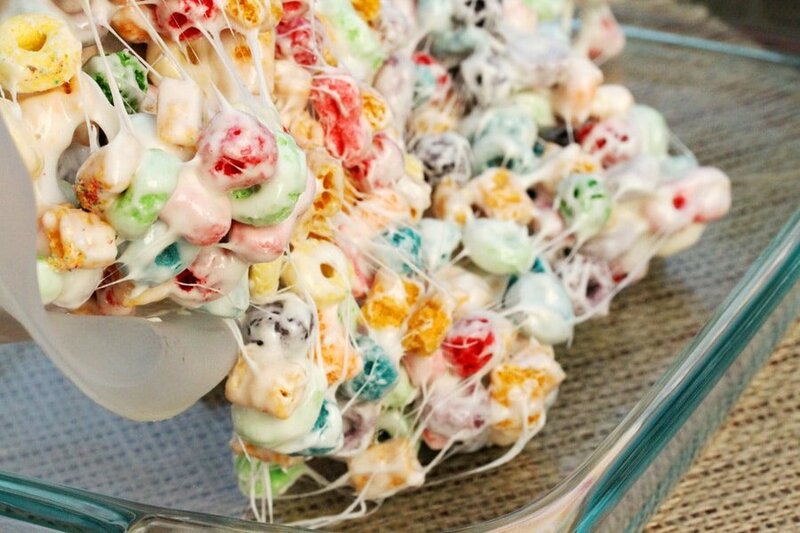 …dip them into candy toppings. 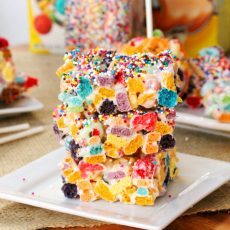 …each and every krispie bite. 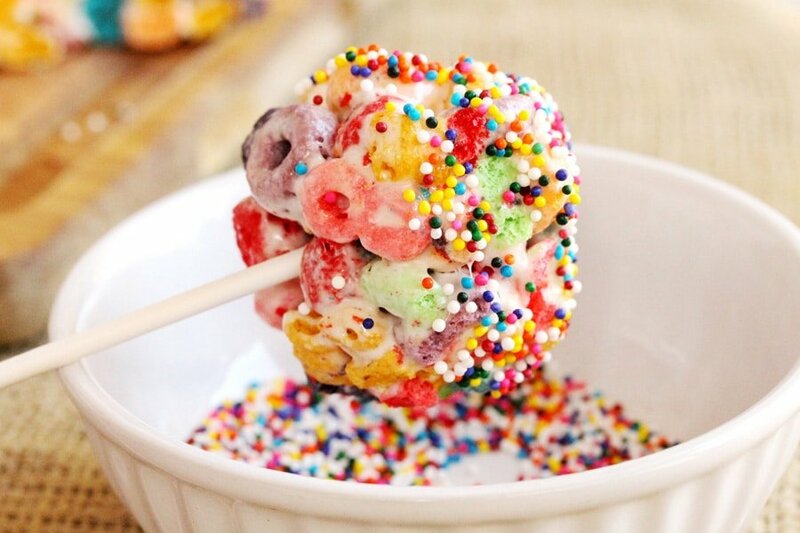 A fun treat for parties. 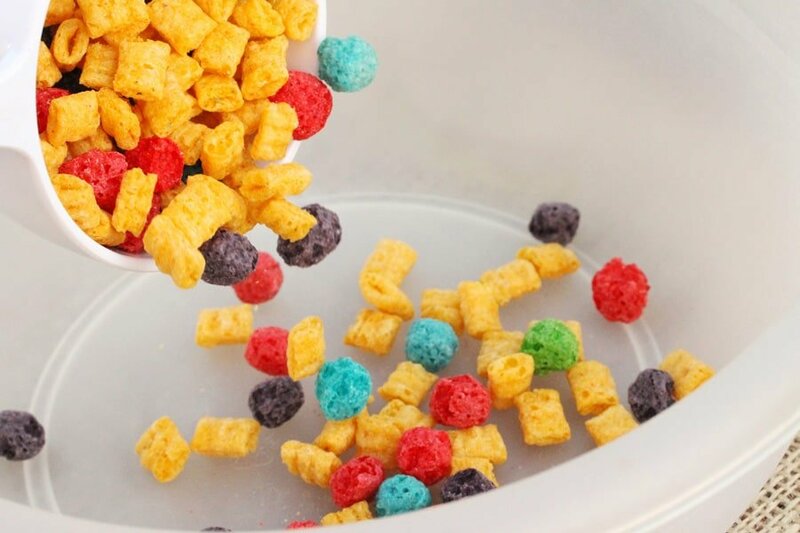 In a large bowl, add both types of cereal. Set aside. 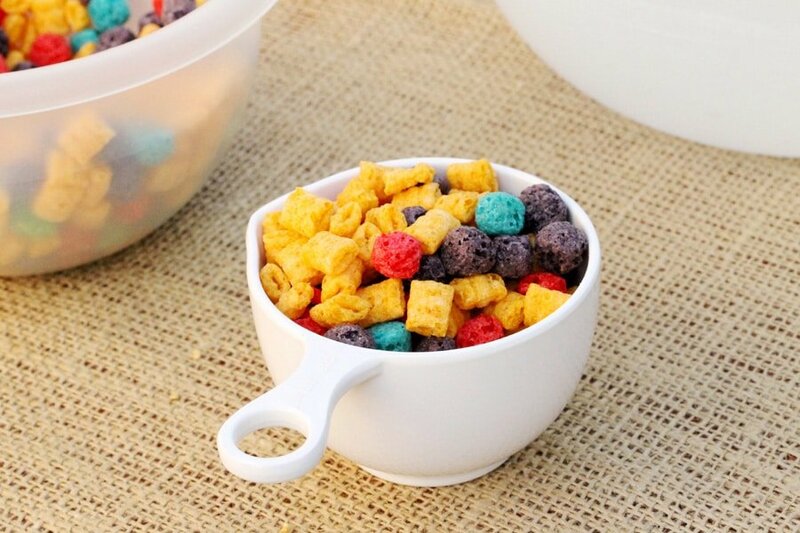 To a microwavable medium size glass bowl, add the marshmallows and butter. 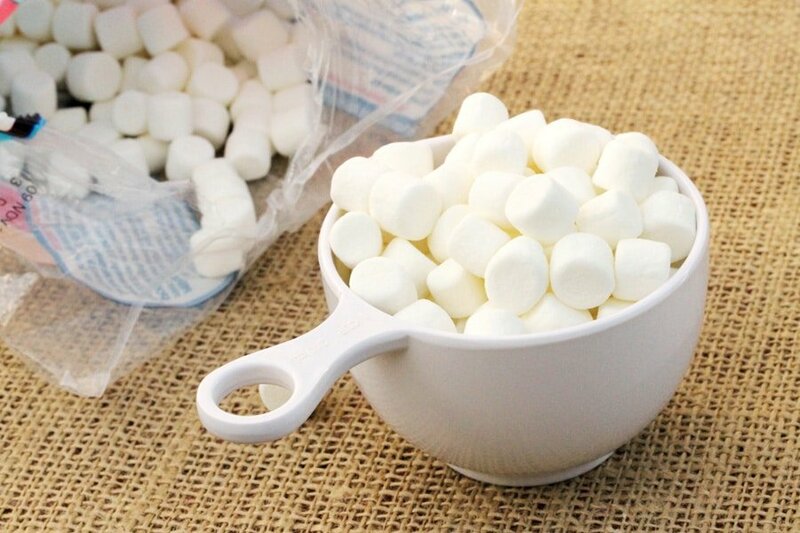 Heat the marshmallows and butter in the microwave for about 3 minutes or just enough so that the marshmallows and butter start to melt. 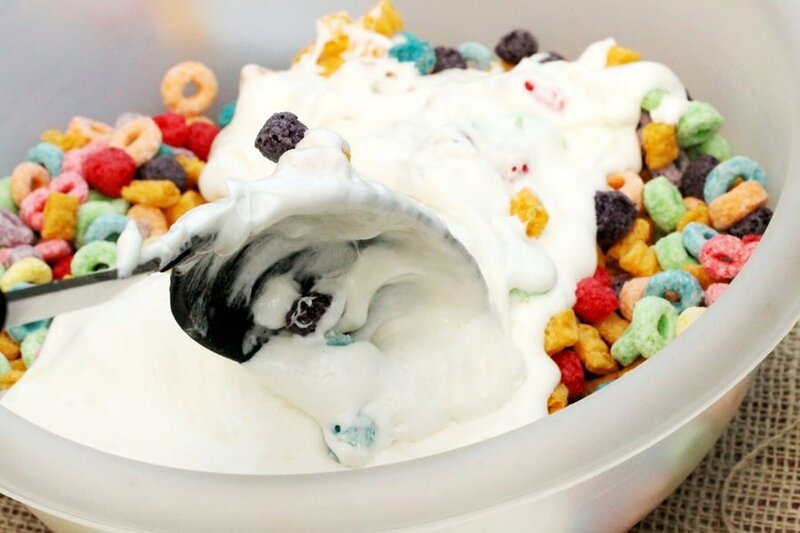 Stir the marshmallows and butter together until smooth. Use a buttered spatula, wax paper, or add water to your hands to gently press the mixture evenly into the pan. Let cool. Cut into squares and serve. Or see more options below. 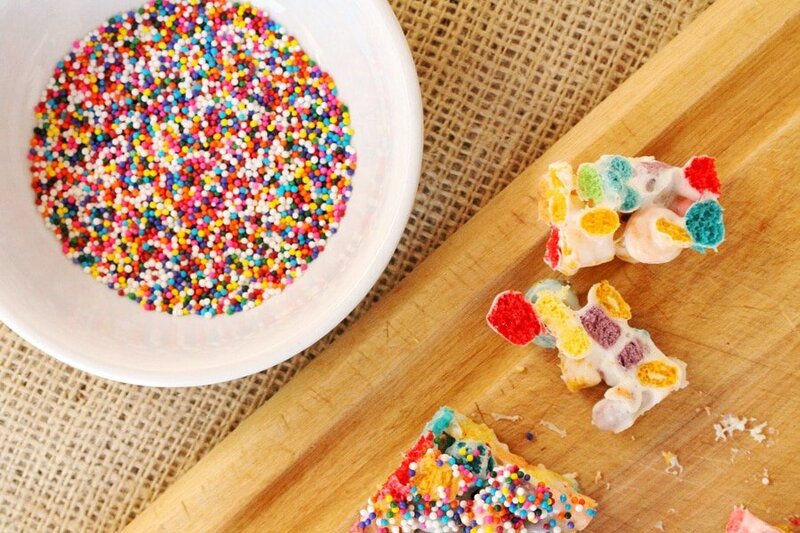 Add Candy Sprinkle Toppings - for added color, top the squares with candy sprinkles; put the candy sprinkles in a small shallow bowl, lay one krispie square at a time in the candy sprinkles and press down slightly so that the candies will stick to the top. 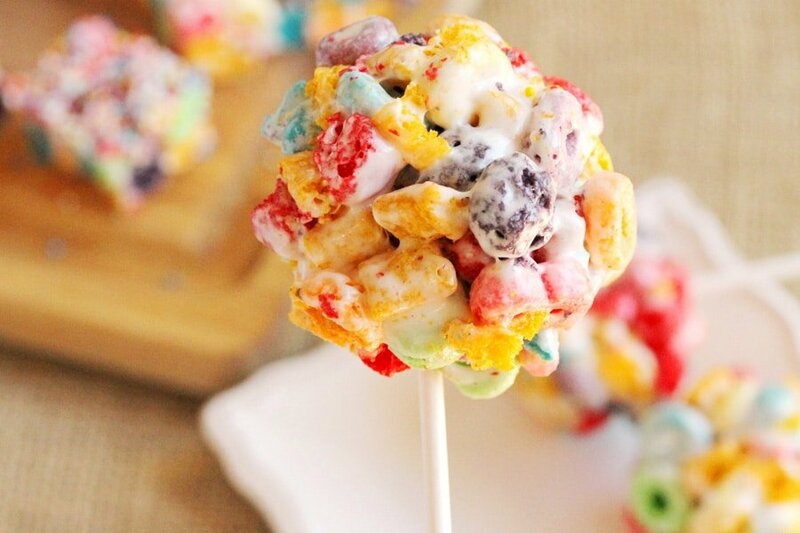 Making Krispie Lollipops - just after mixing the cereal with the marshmallow mixture, wet your hands and roll the cereal and marshmallow mixture into balls (about the size of a golfball or slightly bigger). Set the balls on parchment paper and let cool. 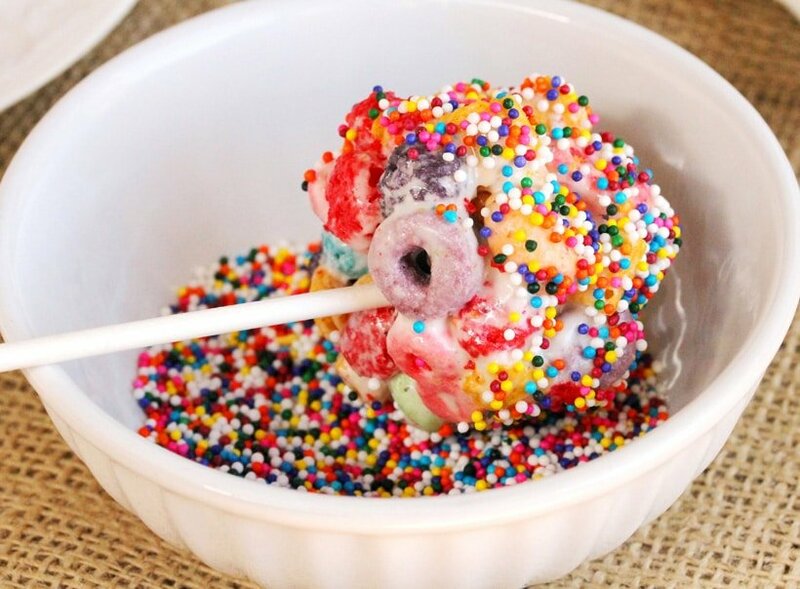 Then add a lollipop stick to each ball, and dip them into candy toppings. 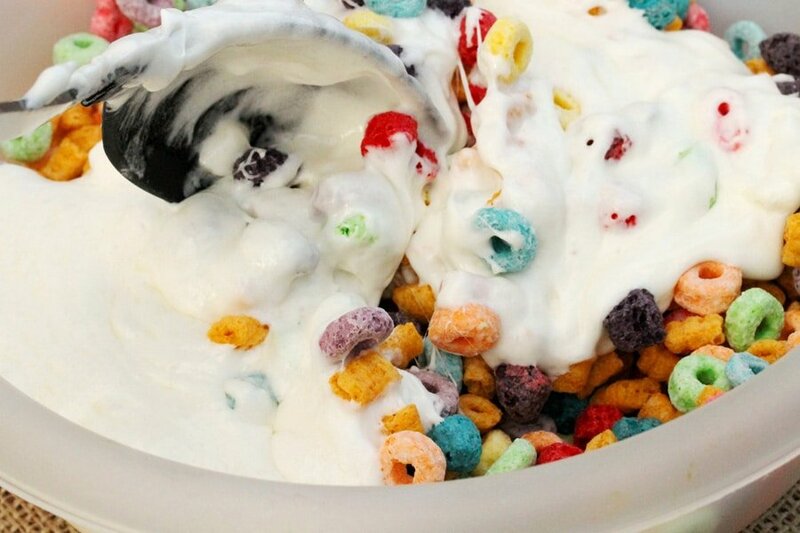 Do you think I can use marshmallow fluff instead of marshmallows since I have it on hand? Do u also know how Much I would use? 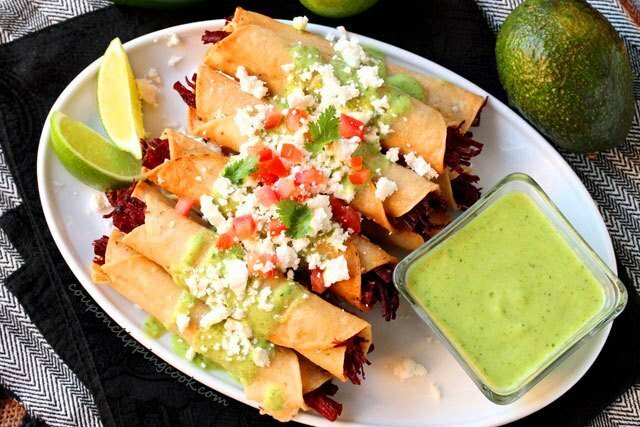 Excited about this recipe, sounds yummy, I want to make them for work. 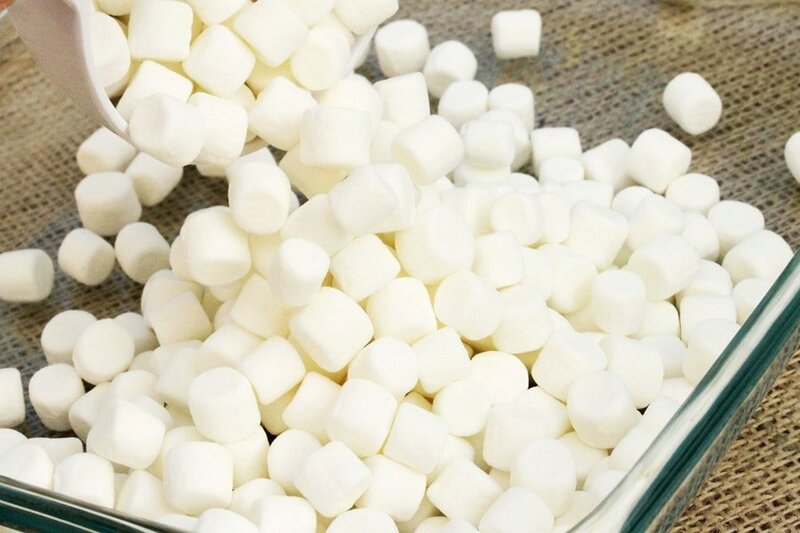 Hi Sarai, sure, the marshmallow fluff should also work for these Rice Krispie treats. 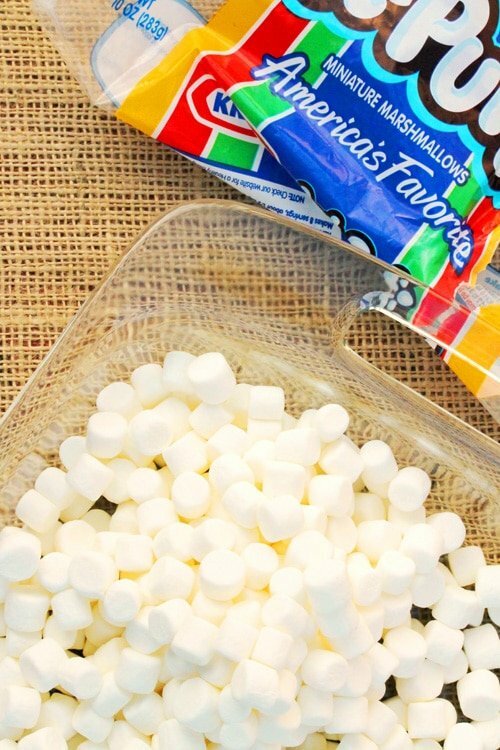 Instead of using the 10 ounce bag of marshmallows use a 7.5 ounce jar of marshmallow fluff and this should work. 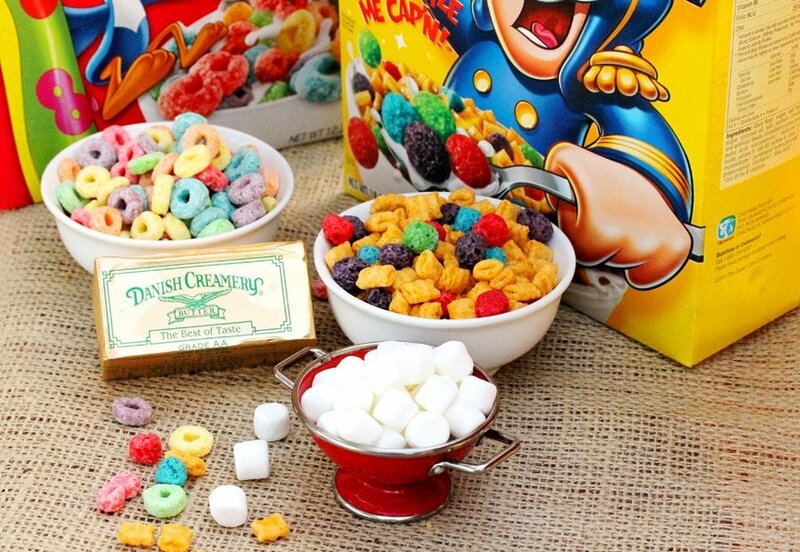 Your coworkers will be very happy to see you walk into work with these goodies! Thank you so much for stopping by and have a great week! Hi Charlie, so glad you like it! 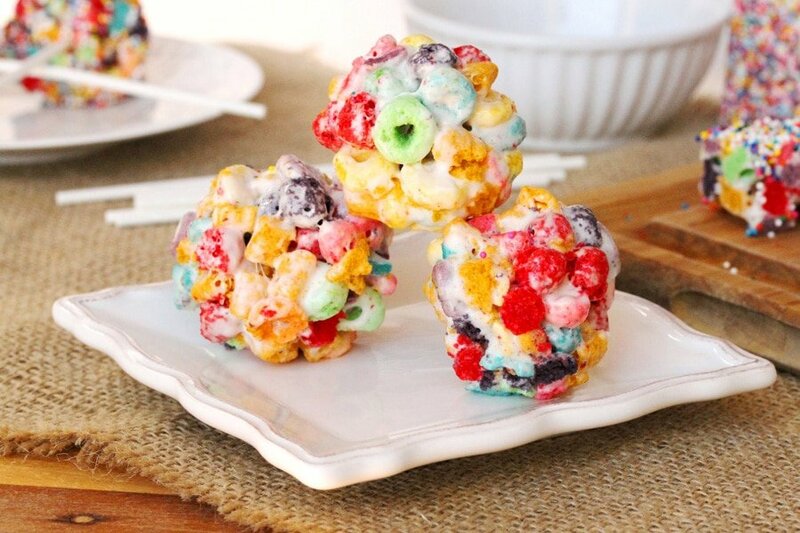 What a nice idea to make these for your little brother. Make sure to prepare extra for the cook! Have a wonderful week! 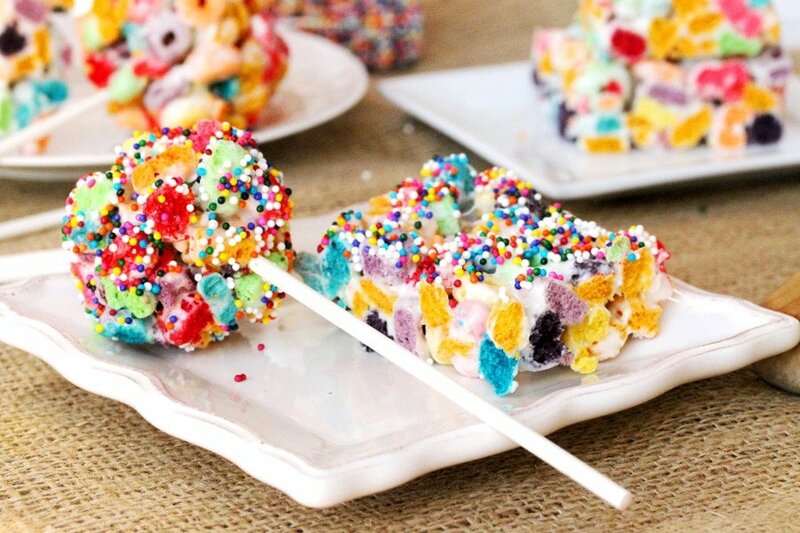 These look phenomenal! 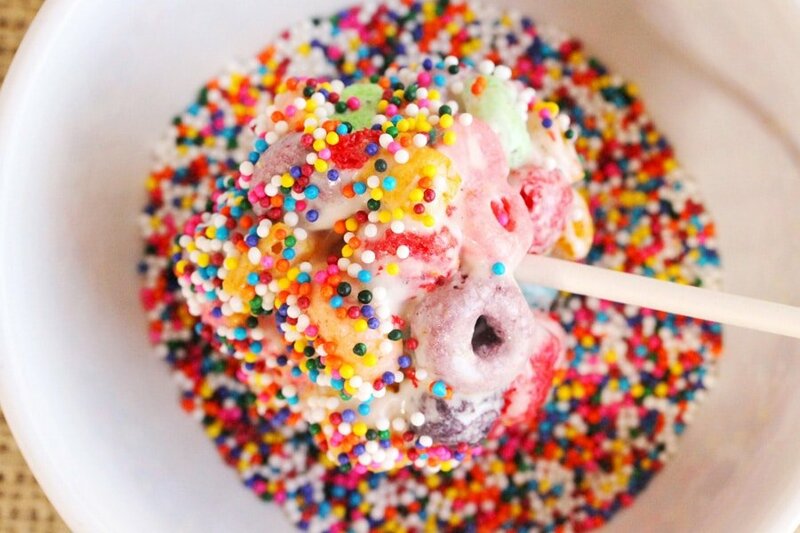 They’re so colorful, so pretty, and so yummy looking! I can’t wait to try these, myself! Hi there, so glad you like them. Thank you for stopping by! 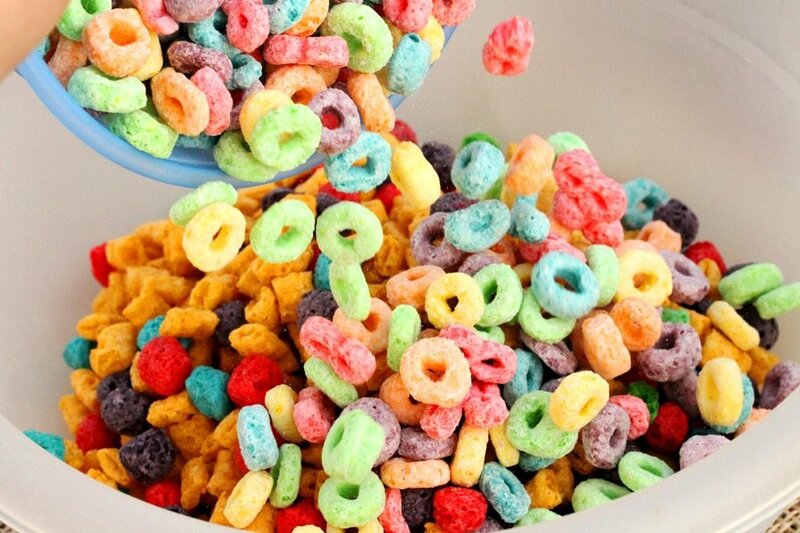 Wow – these just look so bright and fun and colorful, beautiful! Hi Rachel, thank you very much. Have a great week! Looks amazing, I have to test it. Just one question: What is cooking spray? Hi Gizzy, so glad you asked this question, I should have put “non-stick” cooking spray. One brand is call PAM and it’s less calories than using a lot of butter; it’s in a can and located by the cooking oils at the grocery store. I’m going to update the post just in case others have the same question. Thank you again and have a great week! Hi Kim, it’s my pleasure! Have a great day!